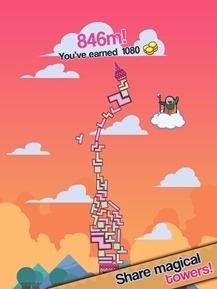 The objective of 99 Bricks is to build the tallest tower possible with 99 tetrominoes falling from the sky. Now, under the normal rules of Tetris this would be easy: rotate them all longwise, put 'em in the middle, and stack until you run out. But in 99 Bricks, the pieces don't lock in to each other. 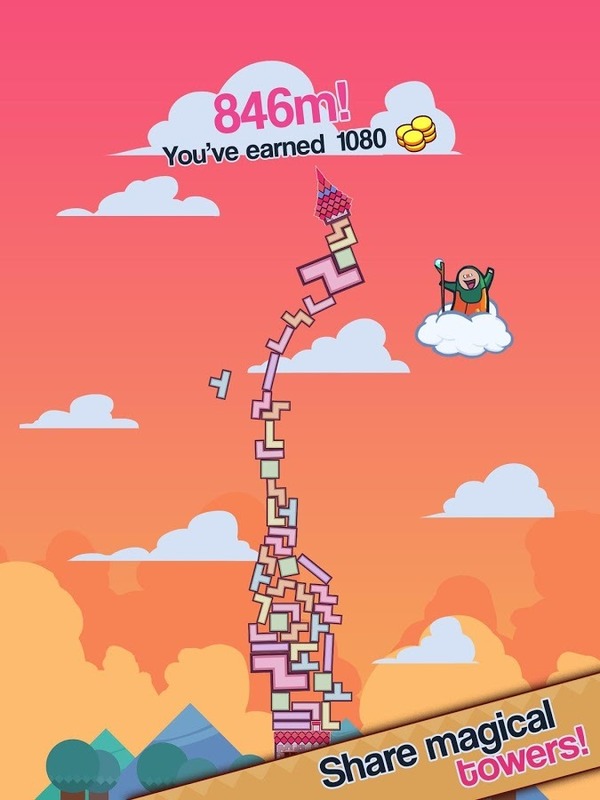 Your tower needs to be structurally sound, otherwise it will fall down onto its foundations or right off the edge of the screen. 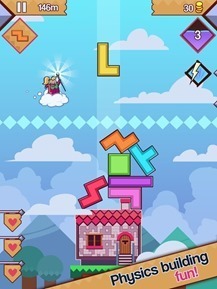 The "Wizard Academy" portion of the game adds power-ups and computer-controlled antagonists, with spells that might super-size your bricks, add in a random beanstalk, or throw in any number of unpredictable elements to mess with your carefully-planned construction. 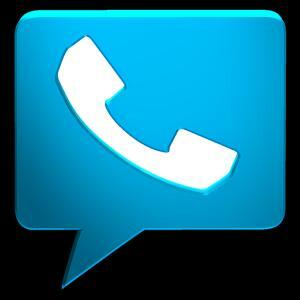 Sadly, the only multiplayer feature is showing off on social networks. 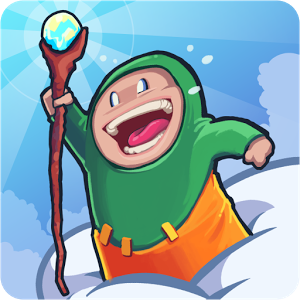 99 Bricks Wizard Academy is free on Android, which is odd, because the iTunes version costs $3. 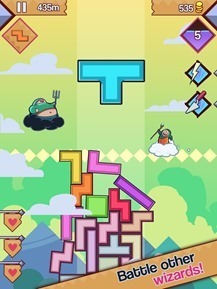 The game includes a currency system for power-ups and in-game costumes, but there are no in-app purchases at the moment. Since Android apps that start out free have to stay that way, I wouldn't be surprised to see currency IAPs crop up at a later date.